Oooh, precious for sure. What a well deserved win. 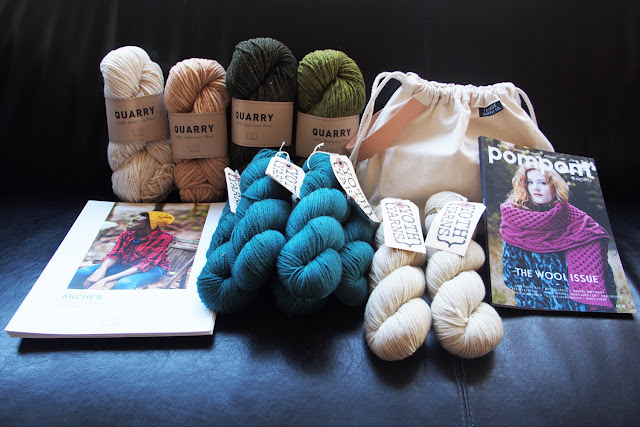 Considering that all of your knitting is always beautiful, I can only imagine the beauties you will create with this lot! I can't wait to use that Quarry, it feels wonderful. Wow that is quite a fantastic prize - but in keeping with your fantastic knit pieces! Congratulations! Wow that is some prize! You will enjoy knitting with it all. I look forward to seeing what you make. Amazing, isn't it! I'll cast on a hat with the Quarry next, can't wait to see what it feels like.